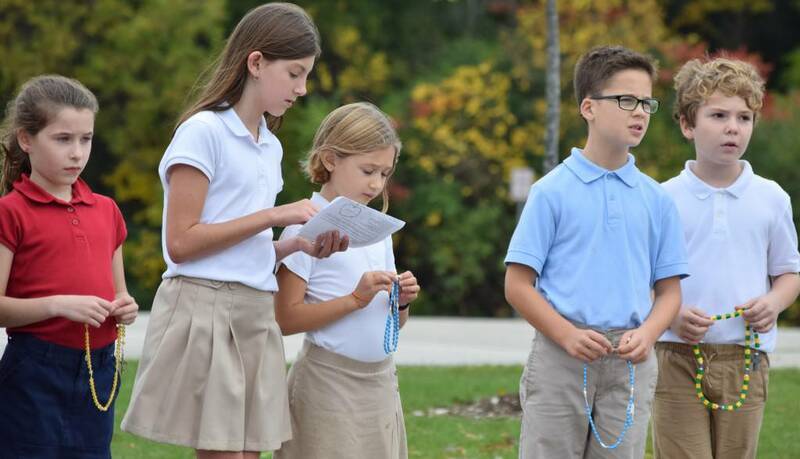 St. Anthony on the Lake Catholic School is dedicated to excellence in a Christ-centered education, rooted in our Catholic Faith; and to the spiritual, intellectual, social and physical development of each student. Together with our parish community, we live the gospel of Jesus Christ, commit to worship and lifelong faith formation and serve others. Why choose St. Anthony on the Lake? There is no other school community quite like the one you will find at St. Anthony on the Lake. Just ask our students what they like best about St. Anthony on the Lake School and they will tell you, "It feels like home!" The family atmosphere at our school is something we treasure and want to extend to all of our new families. That's why our School Committee members developed a Family-to-Family Mentoring Program. When you register at St. Anthony on the Lake, we will match your family with an experienced family who will contact you prior to the start of school and will be your own personal resource for questions about school (dress code, volunteer opportunities, schedules, extracurricular activities, etc.). During the summer months, we host a social gathering for mentors and new families to give you and your student(s) an opportunity to get to know a few friendly faces prior to the start of school. We also host a casual get-together for new families and their mentors in the fall, to ensure you are settling into the school year well. Your mentor family will remain a resource for you throughout the school year and beyond! Please follow our school story on Facebook. Our school community has much to share! Visit our School Photo Gallery to see photos of our school community in action. LIVE: Value our Catholic identity and our community of faith by striving to integrate our Catholic faith into all we do. Each year we choose a faith-based theme to encourage our students to truly live the Gospel. COMMIT: Continue to grow our school and offer tuition assistance thanks to our generous donors and endowment fund. SERVE: Take pride in being a service-oriented community by undertaking monthly service projects that assist those in need locally and globally. If you have any other questions, please contact Ellen Knippel at [email protected] or 262-691-0460.